Mongolian warrior and ruler Genghis Khan created the largest empire in the world, the Mongol Empire, by destroying individual tribes in Northeast Asia. Born in north central Mongolia around 1162, Genghis Khan was originally named “Temujin” after a Tatar chieftain that his father, Yesukhei, had captured. Young Temujin was a member of the Borjigin tribe and a descendant of Khabul Khan, who briefly united Mongols against the Jin (Chin) Dynasty of northern China in the early 1100s. According to the “Secret History of the Mongols” (a contemporary account of Mongol history), Temujin was born with a blood clot in his hand, a sign in Mongol folklore that he was destined to become a leader. His mother, Hoelun, taught him the grim reality of living in turbulent Mongol tribal society and the need for alliances. When Temujin was 9, his father took him to live with the family of his future bride, Borte. On the return trip home, Yesukhei encountered members of the rival Tatar tribe, who invited him to a conciliatory meal, where he was poisoned for past transgressions against the Tatars. Upon hearing of his father’s death, Temujin returned home to claim his position as clan chief. However, the clan refused to recognize the young boy’s leadership and ostracized his family of younger brothers and half-brothers to near-refugee status. The pressure on the family was great, and in a dispute over the spoils of a hunting expedition, Temujin quarreled with and killed his half-brother, Bekhter, confirming his position as head of the family. Going against custom, Temujin put competent allies rather than relatives in key positions and executed the leaders of enemy tribes while incorporating the remaining members into his clan. He ordered that all looting wait until after a complete victory had been won, and he organized his warriors into units of 10 without regard to kin. Though Temujin was an animist, his followers included Christians, Muslims and Buddhists. By 1205 he had vanquished all rivals, including his former best friend Jamuka. The following year, he called a meeting of representatives from every part of the territory and established a nation similar in size to modern Mongolia. He was also proclaimed Chinggis Khan, which roughly translates to “Universal Ruler,” a name that became known in the West as Genghis Khan. Having united the steppe tribes, Genghis Khan ruled over some 1 million people. In order to suppress the traditional causes of tribal warfare, he abolished inherited aristocratic titles. He also forbade the selling and kidnapping of women, banned the enslavement of any Mongol and made livestock theft punishable by death. 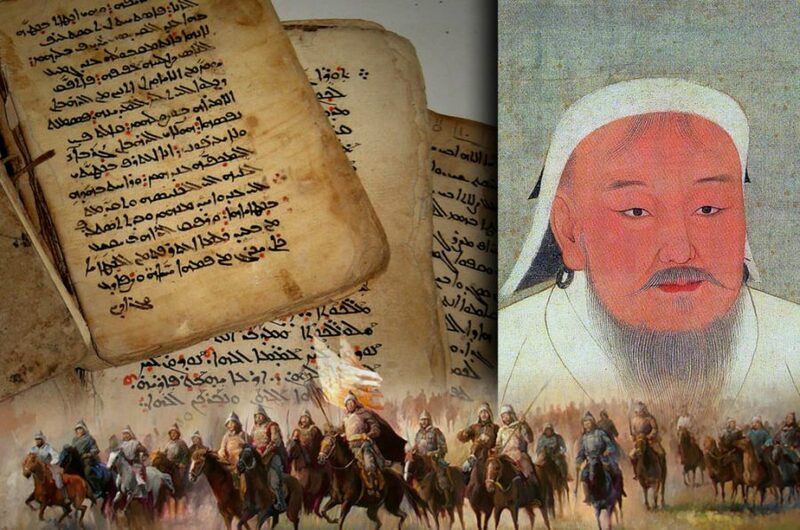 Moreover, Genghis Khan ordered the adoption of a writing system, conducted a regular census, granted diplomatic immunity to foreign ambassadors and allowed freedom of religion well before that idea caught on elsewhere. Genghis Khan’s first campaign outside of Mongolia took place against the Xi Xia kingdom of northwestern China. After a series of raids, the Mongols launched a major initiative in 1209 that brought them to the doorstep of Yinchuan, the Xi Xia capital. Unlike other armies, the Mongols traveled with no supply train other than a large reserve of horses. The army consisted almost entirely of cavalrymen, who were expert riders and deadly with a bow and arrows. At Yinchuan, the Mongols deployed a false withdrawal—one of their signature tactics—and then initiated a siege. Though their attempt to flood the city failed, the Xi Xia ruler submitted and presented tribute. The Mongols next attacked the Jin Dynasty of northern China, whose ruler had made the mistake of demanding Genghis Khan’s submission. From 1211 to 1214, the outnumbered Mongols ravaged the countryside and sent refugees pouring into the cities. Food shortages became a problem, and the Jin army ended up killing tens of thousands of its own peasants. In 1214 the Mongols besieged the capital of Zhongdu (now Beijing), and the Jin ruler agreed to hand over large amounts of silk, silver, gold and horses. When the Jin ruler subsequently moved his court south to the city of Kaifeng, Genghis Khan took this as a breach of their agreement and, with the help of Jin deserters, sacked Zhongdu to the ground. In 1219 Genghis Khan went to war against the Khwarezm Empire in present-day Turkmenistan, Uzbekistan, Afghanistan and Iran. The sultan there had agreed to a trade treaty, but when the first caravan arrived its goods were stolen and its merchants were killed. The sultan then murdered some of Genghis Khan’s ambassadors. Despite once again being outnumbered, the Mongol horde swept through one Khwarezm city after another, including Bukhara, Samarkand and Urgench. Skilled workers such as carpenters and jewelers were usually saved, while aristocrats and resisting soldiers were killed. Unskilled workers, meanwhile, were often used as human shields during the next assault. No one knows with any certainty how many people died during Genghis Khan’s wars, in part because the Mongols propagated their vicious image as a way of spreading terror. When Genghis Khan returned to Mongolia in 1225, he controlled a huge swath of territory from the Sea of Japan to the Caspian Sea. Nevertheless, he didn’t rest for long before turning his attention back to the Xi Xia kingdom, which had refused to contribute troops to the Khwarezm invasion. In early 1227 a horse threw Genghis Khan to the ground, causing internal injuries. He pressed on with the campaign, but his health never recovered. He died on August 18, 1227, just before the Xi Xia were crushed.